There are a lot of knowledge in the production process of flotation separation line that we need to master and keep in mind. 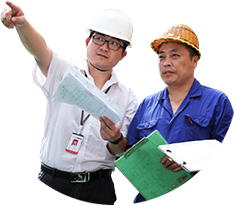 This article will explain some precautions in the flotation of Henan Hongxing flotation machine. First of all, let's look at how the flotation machine works, the motor triangle drive to rotate the impeller and generate centrifugal force to form negative pressure. On the one hand, inhaling enough air to mix with the pulp, and on the other hand, mixing the pulp with the medicine. At the same time, the foam is refined to allow the mineral to adhere to the foam and float to the pulp surface to form a mineralized foam. During flotation, the ups and downs of minerals are almost independent of mineral density. Such as chalcopyrite and quartz, the former density is 4.2, the latter is 2.68, chalcopyrite is very easy to float, but quartz sinks to the bottom. The research found that the floatability of minerals is related to their affinity for multi-tank flotation machines. Any mineral that has high affinity with water is difficult to float. The minerals that have low affinity with water are easy to float. Flotation is same as other mineral processing methods. 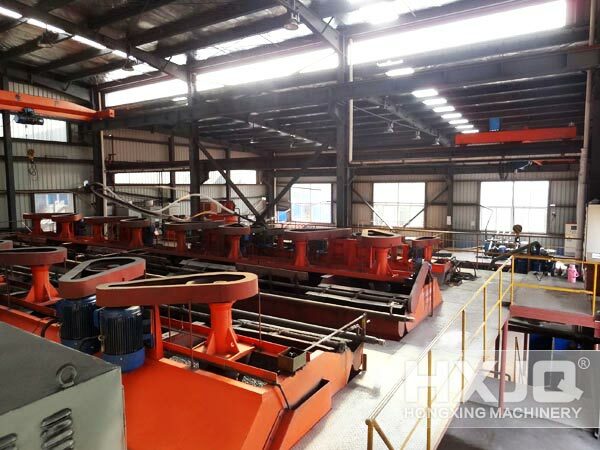 It is necessary to make good preparation for materials before sorting, that is, the ore must be graded by grinding to achieve the concentration and fineness suitable for flotation. In addition, the following aspects of flotation need to pay attention. First, the adjustment of pulp and the addition of flotation chemicals. Its purpose is to cause differences in the surface properties of the minerals, namely altering the humidity of the mineral surface to adjust the selectivity of the mineral surface, so that some mineral particles can adhere to gas saturation, while others can not adhere to the bubbles. Second, stirring to cause a lot of air bubbles. By means of the aeration stirring effect of the flotation machine, the air in the slurry is dispersed to form a large number of bubbles. Third, the mineralization of bubbles. The mineral particles are selectively attached to the bubbles, which is the most basic behavior in the flotation process. The above is a related introduction to the knowledge of flotation. For more information, please go to the official website or call for advice.